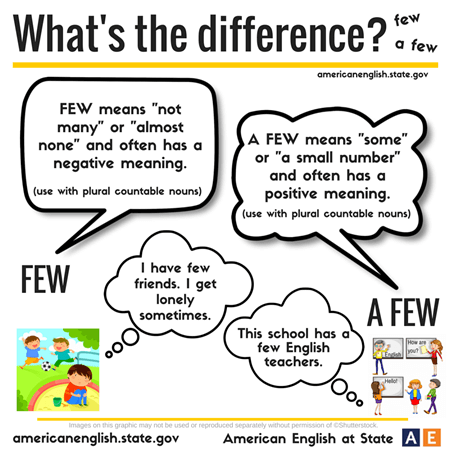 Home » Grammar • Vocabulary » What’s the Difference Between “few” and “a few”? What’s the Difference Between “few” and “a few”? Few means “not many” or “almost none” and often has a negative meaning – A few means “some” or “small number” and often has a positive meaning. I read daily and waiting for new lesson.thank you much.